Just try to hold this bait so the tail doesn't dance. You can't and that's why the Bobby Garland Baby Shad catches more fish! 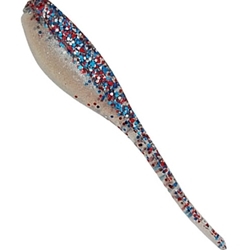 The bait every crappie fisherman should have in their tackle box. The Special marked colors Mo'Glo are bright in daylight but also GLOW-IN-THE-DARK!